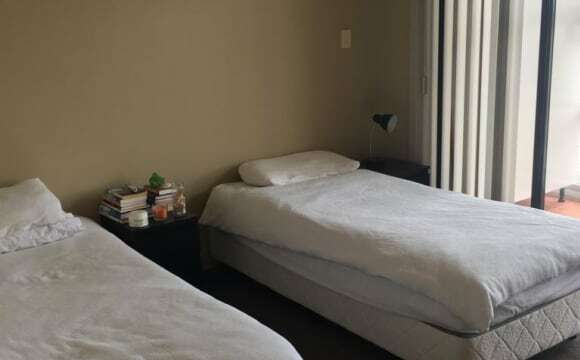 We have 2 furnished rooms available in our share house which is walking Distance to King St Newtown, Cafes, and Shops We are also very close to two train stations! 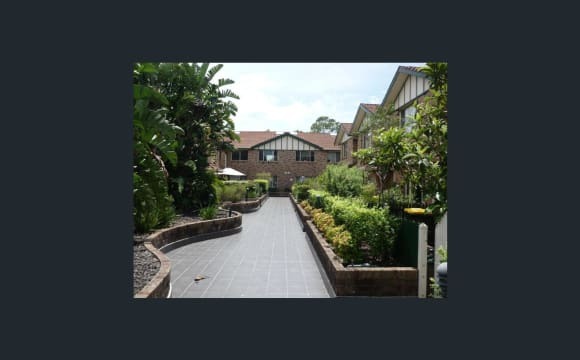 3minutes walk from Stanmore train station and 10 minute walk from Newtown train station. Our house is in good condition, fairly large and clean (YOU WON'T FIND CLEANER 😊!) and has wooden staircase and polished timber floors. The rent is fr $270 per week plus $10 for electricity, gas, water and internet. Couples are Welcome in our home for an extra $80p/w. You can stay as long as you like so long as you help us find another person when you want to leave. We can show you the room any day. please message me here for appointment. - Spacious open plan downstairs area - Polished concrete floors and 3 hang out areas - lounge, dining and outdoor dining. - Gas cooking, Dishwasher, fridge, dryer, bbq, washing machine etc. 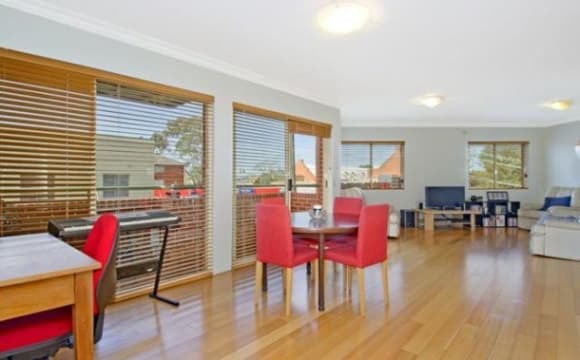 - 10 min walk to train stations and Marrickville Metro shopping centre. 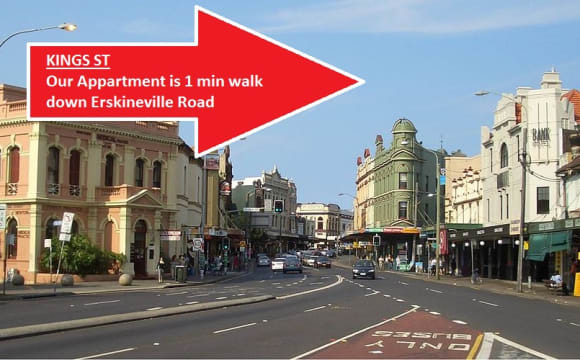 - 2 mins from King St, 5 min walk from Enmore Rd, 2 mins to all the buses. The house is modern and spacious with lots of special features including our piano, a big garage with tools you can use if needed, a full bookcase, a bath, a dishwasher, air con in each room AND a lovely leafy courtyard for hangs in the sunshine with your pals or ours! Oh not to mention free unlimited eggs for those broke weeks... we've all been there. NEW FULLY FURNISHED PRIVATE ROOMS IN HIGH-END PROPERTY IN NEWTOWN, 2min walk from St Peters train Station !! RECENTLY RENOVATED THROUGHOUT WITH BRAND NEW KITCHEN and BATHROOMS, GREAT ENTERTAINING AREA AND JUST SECONDS WALK TO KING STREET. Features include: -Fully furnished throughout with brand new furniture -Unlimited Wi-Fi Internet -Weekly cleaners for communal areas -Laundry facilities -Fully equipped kitchen with quality appliances -Living and Dining room with flat screen TV -Bed linen -Outdoor entertaining area -Smoking is ONLY permitted in outdoor areas of the property -Free street parking Room price: Single/Couple Room 1 - $340/$400 Room 2 - $315/$365 Room 3 - $330/$385 Room 4 - $270/$310 Bond is just two weeks rent. No pets allowed. Weekly cleaners for communal area! Awesome double room becoming available in Newtown - All Bills inc. Features: -Fully furnished throughout -Big screen TV in living room -Unlimited Wi-Fi Internet -Laundry facilities -Weekly cleaners for communal areas -Fully equipped kitchen -Bed linen -Outdoor area -All Bills included All you need are your own clothes and groceries. The house is located on Newtown and is moments away fromKing street. You will find everything you will ever need located within a short walking distance including pubs, restaurants, bars and supermarkets. Room Price: Room 1: Single/Couples - $370/$440 Room 2: Single/Couples - $385/$460 Room 3: Single/Couples - $375/$450 Room 4: Single/Couples - $375/$450 Bond is two weeks rent. No pets allowed. Weekly Cleaners! DOUBLE SIZED ROOM! WHOLE HOUSE IS FULLY FURNISHED WITH NEW FURNITURE! Perfect couples room has become available in this epic house in the heart of Newtown. The room has an abundance of space for two people, as well as heaps of storage with private lounge room and the house is huge too so you can get away from one another every now and then! WALK TO SHOPS, CAFES AND RESTAURANTS SPACIOUS ROOMS BECOMING AVAILABLE IN GREAT LOCATION! Features include: -Fully furnished with brand NEW furniture throughout -Weekly cleaners for communal areas -Unlimited Wi-Fi Internet -Big screen TV in living room -Laundry facilities -Fully equipped kitchen -Bed linen -Large outdoor area -Smoking ONLY in outdoor areas -Private Lounge with TV in bedroom!! The house is located on Wells st Newtown , You will find everything you will ever need located within a short walking distance including pubs, restaurants, bars and supermarkets. All bills and Internet are included Cleaner once a week to help clean the common areas. Fully furnished planned kitchen and living areas, free laundry facilities. Room prices: Room 1 - single/ Couples - $370/$430 Bond is just 2 weeks rent. Smoking is only permitted in outdoor areas of the property Sorry no pets. 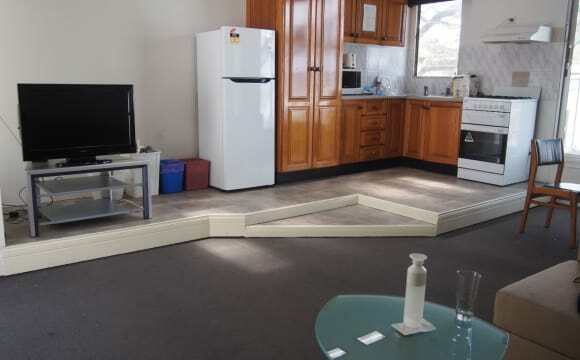 Well located fully furnished 3 bedroom terrace in an ideal location in Newtown. Very quiet street (some plane noise) and a short walk to King street or Enmore Road. 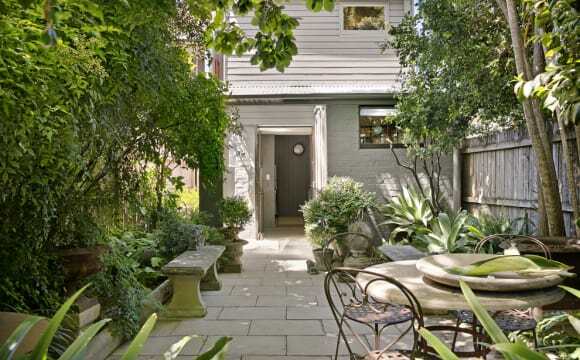 A few minutes from Newtown Train station and an easy walk to Sydney Uni. Also only a short walk to buses that will take you to UNSW, UTS, Bondi, Coogee, Leichhardt and of course the city (Sydney). Close by you'll find trendy cafes, restaurants, shops and markets. A short walk to Marrickville Metro where there is a Woolies, Aldi, Kmart and lots more. The house has a fully equipped kitchen. Seperate toilet and bathroom with a washing machine. The house has three bedrooms. two rooms upstairs and a large double Room (with 2 king singles) downstairs. Internet and Bills included. House is available to rent at $1200 per week but happy for the 3 rooms to be rented individually if you want to team up. Looking for housemates who are : - Reliable - Friendly - Clean and organised - Trustworthy and respectful. Quiet house, family area and respectful of flatmates. No pets please. Non smokers only (smoking not allowed anywhere on the property) Drug use will not Be tolerated. We have unlimited nbn WiFi, a balcony which is for communal use despite it being in one of the rooms (the other housemate is super social and open to others coming out there too!). It is a cosy home, with the interior being very retro too. It has an older vibe to it, but it is super loveable. We have a living room but haven't really used it at all, so this is an opportunity for you if you like your own chilled space external to your room (as it is almost never used) We are LGBT friendly individuals as we are both part of the community. We are located only a 10 minute walk from Newtown Station which is a prime spot, as you are close to town but not close enough to endure the noise! 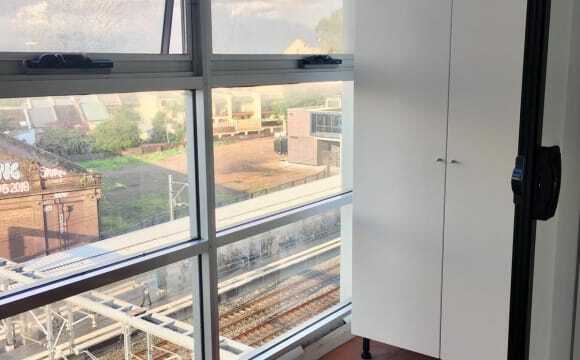 It’s a 4 minute walk to Newtown station and 6 minutes the other way to Erskineville station. Really close to Carriageworks markets and we usually stroll down there on a Saturday morning. It’s a split level apartment with 2 bathrooms so plenty of room for 3 people and your own privacy. We are very clean and tidy so looking for someone that’s the same and respectful. The apartment has 3 outdoor areas and the view from your bedroom is beautiful. Inspection time: 10.00 am this Tuesday 23/4/19. FEMALE ONLY FLAT. Don’t want to share a place with a lot of people? Not having to go far away from Sydney CBD? This is for you!!! $290/ week if one person renting or $380/week if 2 people sharing the room. Close to cafes, restaurants, the University of Sydney. So you are set for your gourmet coffee cravings! 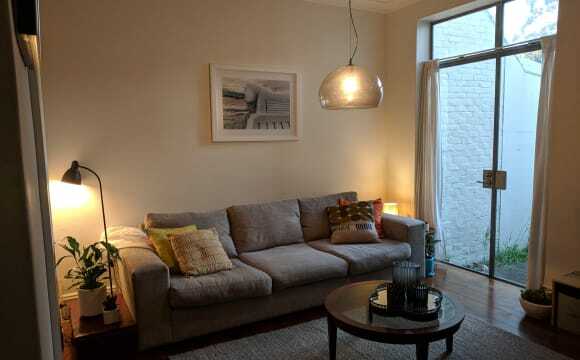 7 minute walk to Newtown station, 9 minute walk to St Peters Station. Bus stop is right across the road. 15-20 minutes by train to Sydney CBD. 2 bathrooms, one is used for laundry but still has basin and toilet, washing machine provided. Double room, almost fully furnished (a double bed with mattress, large study desk, 1 office chair; 1 wardrobe). Electricity &amp; unlimited Internet included. The apartment has 3 bedrooms but you will only share the whole apartment with another flatmate who stays in the single room. The other single room will be kept for owner’s occasional visitors. The house will be just for you and the other flatmate most of the times. Located on King Street, on top of a café which only opens in day time except for Friday. Proper contract, IDs &amp; 4 week bond required. Long-term stay preferred (minimum 6 months). The access to the property is from the rear so please meet me in front of 107 Angel Street, right around the corner. Google is our friend :) Remember not to ring the bell or enter 107 Angel Street because it is not the property on offer! Right behind Newtown train station, central to the most vibrant and colorful suburb in sydney!! The flat is beautiful and lots of space for just 3 people. There is two trains station very close. Newtown 5 min and Erskineville 8 min walking. Lot of buses 2min walking and bus night too. Great place to go out. Everything is very close. Large sunny furnished room with air conditioning, walk in wardrobe, timber floors and your own kitchenette. The last 5 photos are of your room. The room is best suited to a person who cooks simply, likes to keep to themselves but enjoy the occasional warm welcome from others. This is a dog friendly house. But we don't have a dog.... The house is in a very central location in Newtown 5 mins from the train station. Big garden. Nice people. Location Location. With the location you get some noise on the weekends. It's foot traffic mostly and there is a pub nearby. It's a great house with a great big garden. WIFI and electricity are included in the rent. Are you looking to move in an already established place with everything included? How about a garden to wake up to? Need a comfortable spacious rooms with your FRIENDS/Couples or just yourself? This might be the place for you.. Renovated home in the heart of Newtown with 4 Spacious bedroom (really its huge). Currently offering 2 rooms on offer. What we offer: The house has rooms for Singles, Groups and Couples. We have the bedding for all Features include: • Bills included • Fully furnished • Two 2 seater sofas • Utensils all provided • all rooms have pillows and covers. • Provided bed sheet cover for each single bed • 2 Lounges • 2 Gas Fireplace working conditions. One in the lounge room and The other in room 1. • 5 mins to public transports buses and trains • Newtown shops and Marrickville metro shopping centre •1 minute from popular cafes • 10 mins gyms, rock climbing, flying trapeze • Direct busses to USYD. 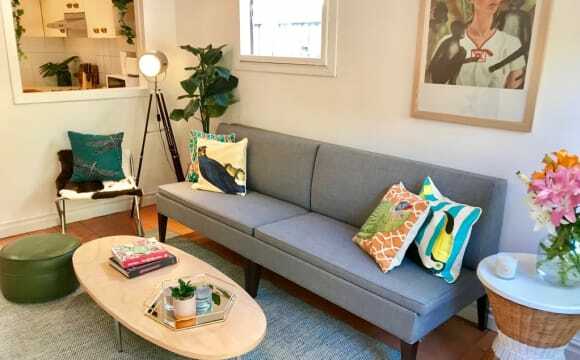 What you need: Yourself and a friendly attitude Don't mind sharing responsibility upkeeping the house PHOTOS DON'T DO JUSTICE, come by and inspect it for yourself. I’m looking forward to hearing from you. Open to a contractual agreement for yearly leases to the right Head Tenant. Lastly, Inspection days: Wednesday 6:30pm onwards and Saturday or Sunday 11am. Otherwise please contact to schedule another appropriate time. Thank you.